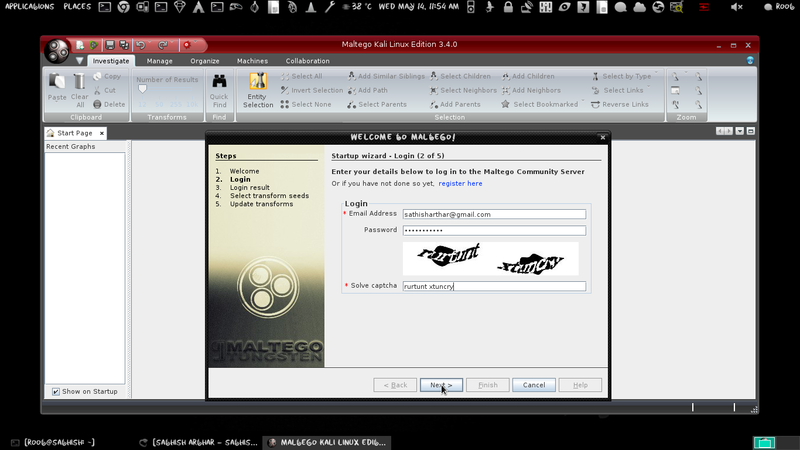 Maltego, is an open source intelligence and forensics application. 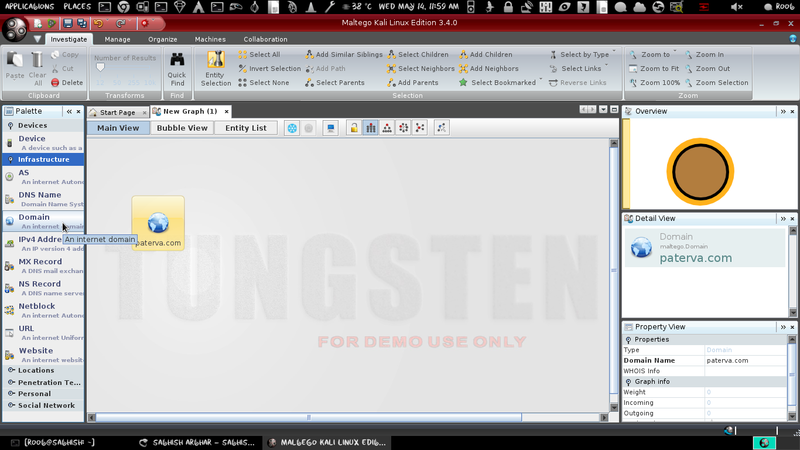 This is a GUI tool so looks different. 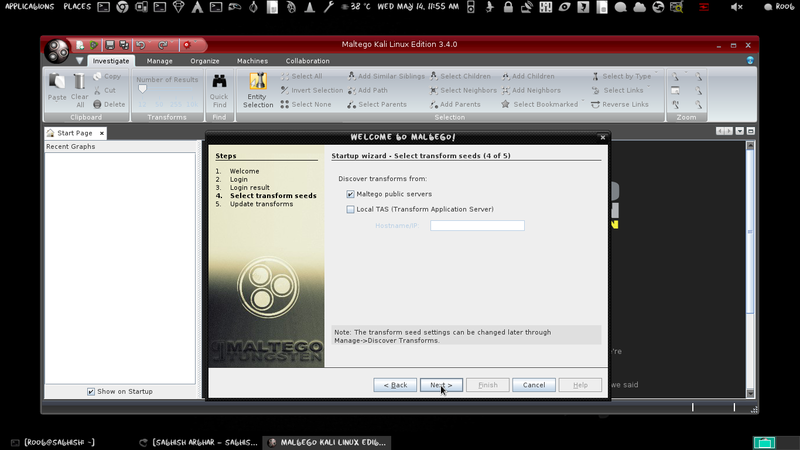 Maltego is an information gathering tool that allows you to visually see relationships and it focuses on providing a library of transforms for discovery of data from open sources, and visualizing that information in a graph format, suitable for link analysis and data mining. Maltego also allows you to Do simple verification of email addresses, Search blogs for tags and phrases, Identify incoming links for websites, Extract metadata from files from target domains. 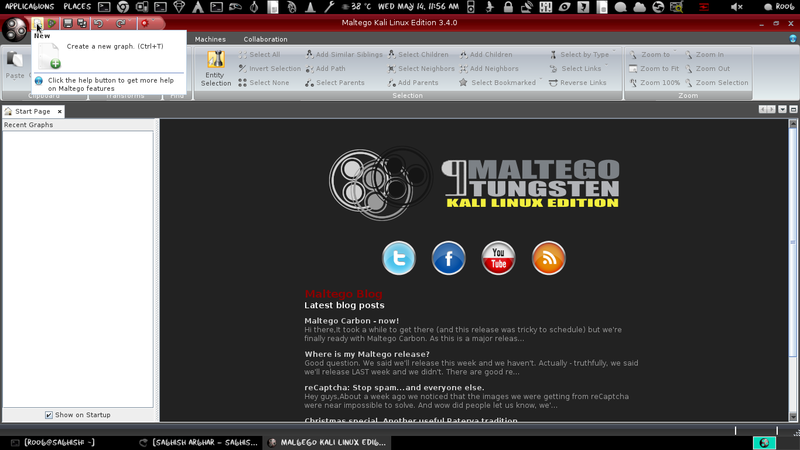 To open graphically go to this menu in your kali linux. After loading maltego ,it will ask for the further process so click next. 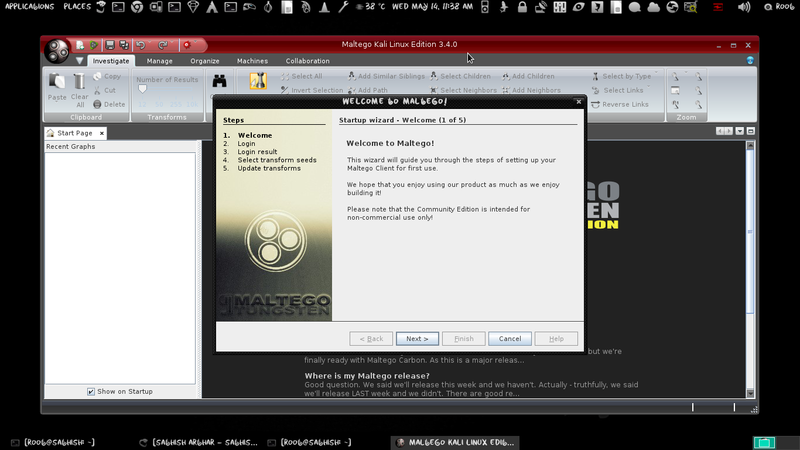 Because We are using first time maltego so we need to register and then log in. So click the register here link. We are new user so we need to register before using this tool. Fill up all details for completing the registration. After completing your registration go to your mail Id and verify your account by clicking on verification link which is send y maltego. After verifying your maltego account login with your registered email id and password. Soon you will see a welcome massage. Click on cancel we will do it manually. By clicking left button of mouse drag the domain in Main view. 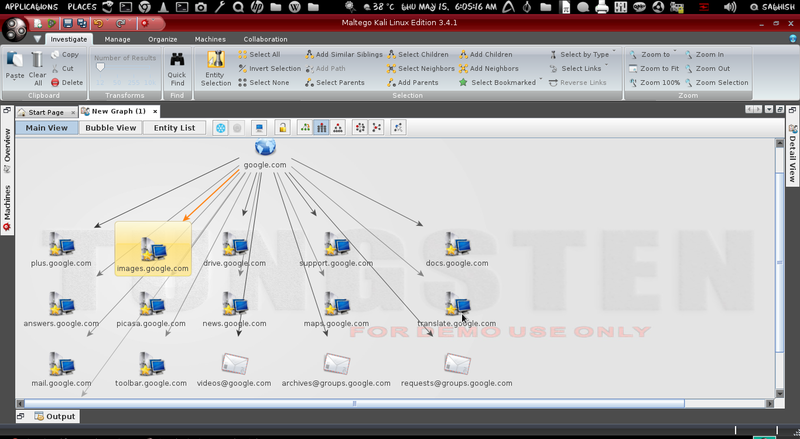 Double click on domain icon and rename it into your target domain. Here I am taking google.com as example. Here we got the result of TLD search. Now we are to gain more information about these domains. First of all select all domains by dragging left mouse button or you can select one by one press Shift + left click. 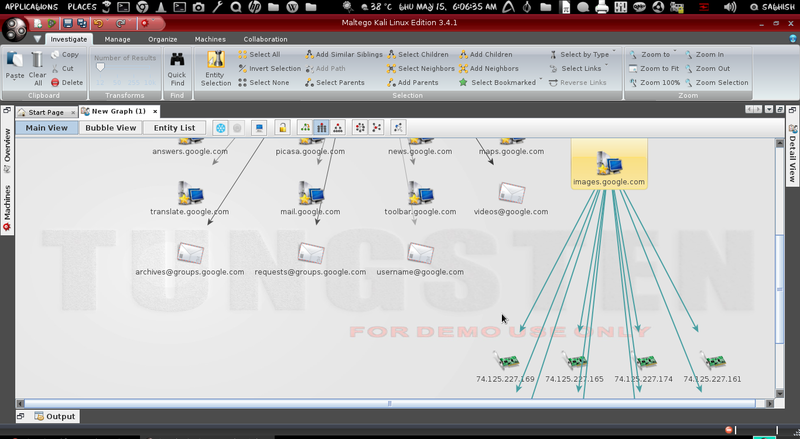 Here we are going to search all website which are associate with these domains. 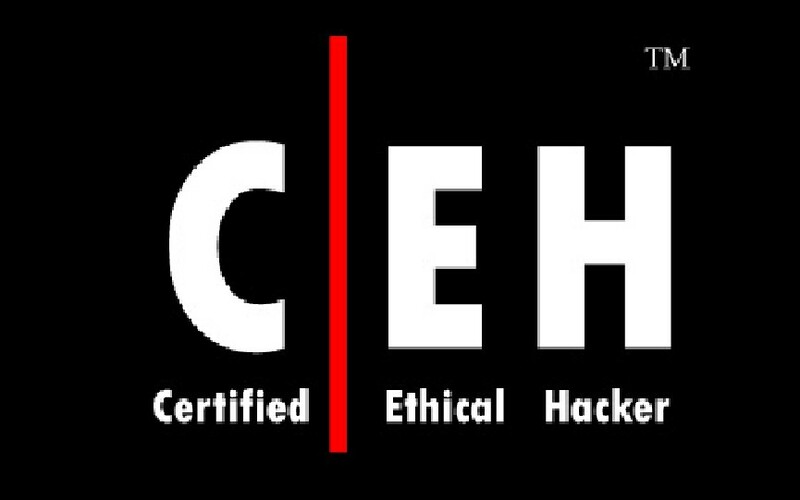 Well here we are just replacing the a website icon I have targeted http://www.google.com for more info follow the image. This is not a necessary part but you should learn it. 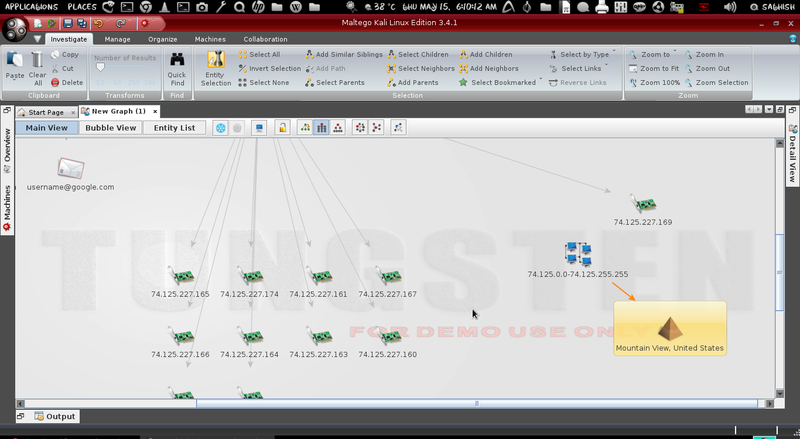 Here we got the IP address of our target website and the detail of where its located. was really nice, ty bro! Anyone now if this is legal? thank you so much for this . 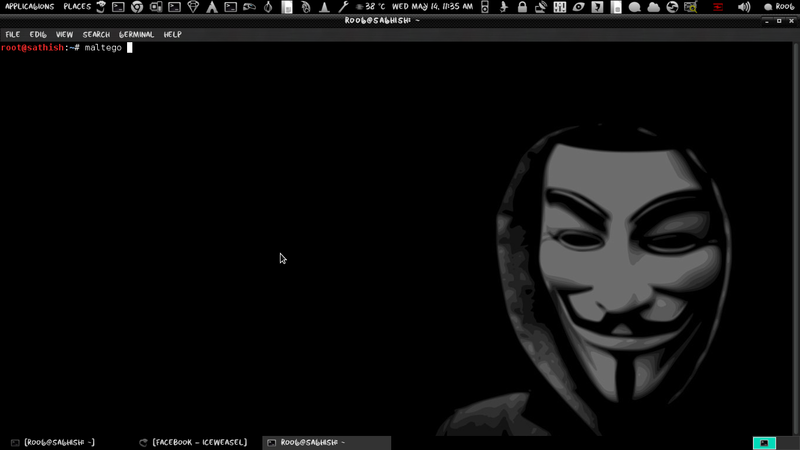 My question is can i do this tutorial by using google.com domain ? can we find the IP of someone who visited our instagram page ?